P. Dee Boersma, a University of Washington professor of biology and Wadsworth Endowed Chair in Conservation Science, is one of six finalists for the prestigious Indianapolis Prize for conservation, according to a statement from the Indianapolis Zoological Society. Boersma is the first UW faculty member nominated for this prize — the highest honor for animal conservationists — which has been awarded every other year since 2006. For more than three decades, Boersma has studied and advocated for penguins in South America, particularly Magellanic penguins in Argentina. Through research, conservation and outreach endeavors, she has educated the public and government officials on the need to conserve and protect penguin habitat and feeding grounds and view these birds as key indicators of ocean health. Ground zero for Boersma’s infectious wonder is undoubtedly Punta Tombo. This stretch of Argentine coast is home to about half a million Magellanic penguins, the largest nesting site in the world for this species. Today, in addition to the birds, Punta Tombo is crawling with scientists from the Center for Penguins as Ocean Sentinels — which Boersma founded — and 100,000 visitors a year snapping photographs. When Boersma first arrived in Punta Tombo in 1982, the picture was quite different. Back then, a military junta ruled Argentina and a Japanese company was proposing to harvest the penguins for oil, protein and hides for industrial applications. 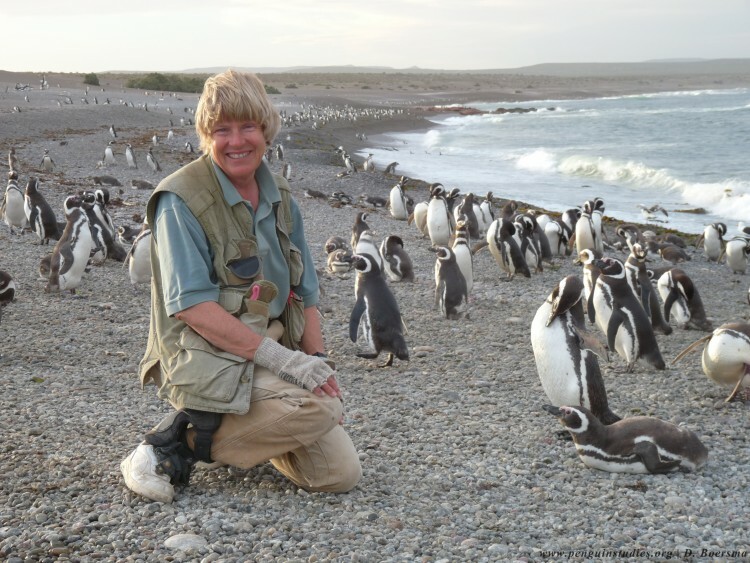 Boersma, who studied Galapagos penguins for her doctoral research at the Ohio State University before joining the UW faculty in 1974, began an initial survey of the Magellanic penguins at Punta Tombo in 1982. Those efforts soon blossomed into a large-scale census of penguin biology and behavior spanning nearly 35 years. Boersma and her colleagues have catalogued courtship, mating, parental and feeding habits over that period, gathering valuable information about how these birds live their lives on land and at sea. 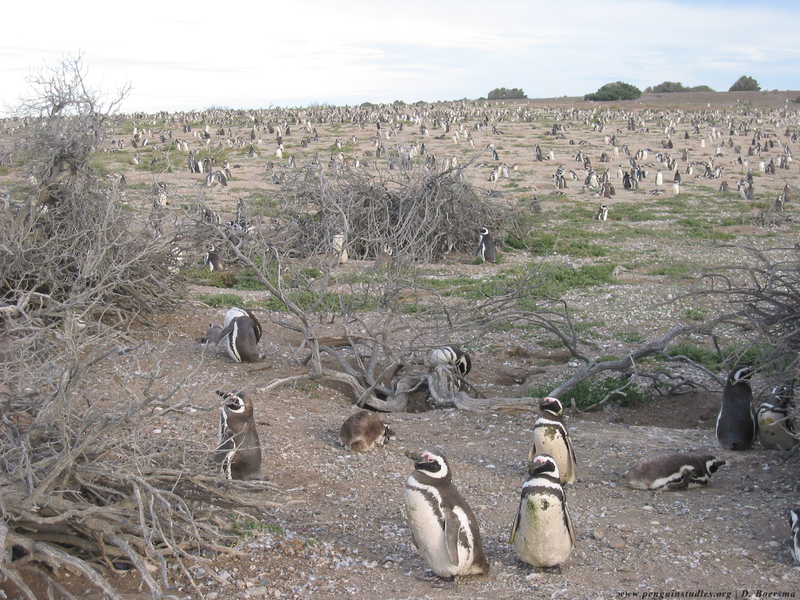 Boersma’s research and public engagement efforts saved the penguins of Punta Tombo from a grisly fate and also increased public interest in penguin preservation. 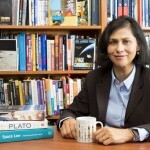 With collaborators and colleagues at the Global Penguin Society, she has steered government policies toward preservation of penguin nesting sites and feeding grounds. In 1997, she got oil tankers diverted 25 miles farther off the Patagonian shore, saving tens of thousands of penguins from an oily grave. 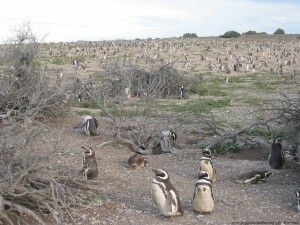 In 2007, Boersma and her colleagues stopped construction of a cement trail through Punta Tombo, where hundreds of penguin chicks were about to hatch. 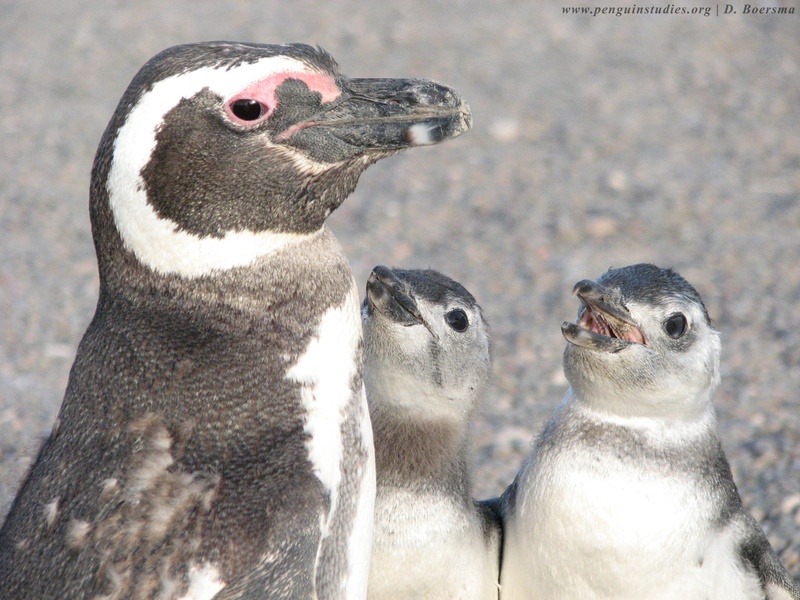 Last year, the government of Argentina’s Chubut Province created a preserve at Punta Tombo to keep developers away from the penguin nesting sites. More than 100,000 visitors each year now come to Punta Tombo to view the penguins that were once eyed for golf gloves. Boersma and the other five finalists will each receive $10,000. The winner, chosen from among the finalists by a jury of conservation experts, will be announced this spring and receive $250,000 and a medal later this year. In the meantime, Boersma is not resting on her laurels. She is currently in the Galapagos Islands, studying the effects of El Nino on penguin populations. For more information, contact Katie Holt at 206-616-2791 or kaholt@uw.edu or Toby Bradshaw at 206-616-1796 or toby@uw.edu. As of press time, Boersma is out of the country.